HOUSTON: 240 billion gallons of rain fell on Houston from April 17th through the 19th, marking one of the costliest floods in Houston history. Houstonian Jamie Griffin’s home took on 3 feet of water, she lost her car and most of her possessions, a common pain felt throughout a large portion of Houston’s residents. But right as the suffering began for Griffin, she found something that has changed her life for the good. On the morning of April 20th, Griffin returned to her home she was rescued from only a few days earlier to find all the water had receded, and left a gift in her back yard she never could have imagined. Nearly $2,000,000 worth of jewelry from the civil war, scattered among debris on her back porch. The gold, diamonds, emeralds and pearls were appraised at a whopping $950,000, not even including their historical value, which all together totaled ~$2 million. 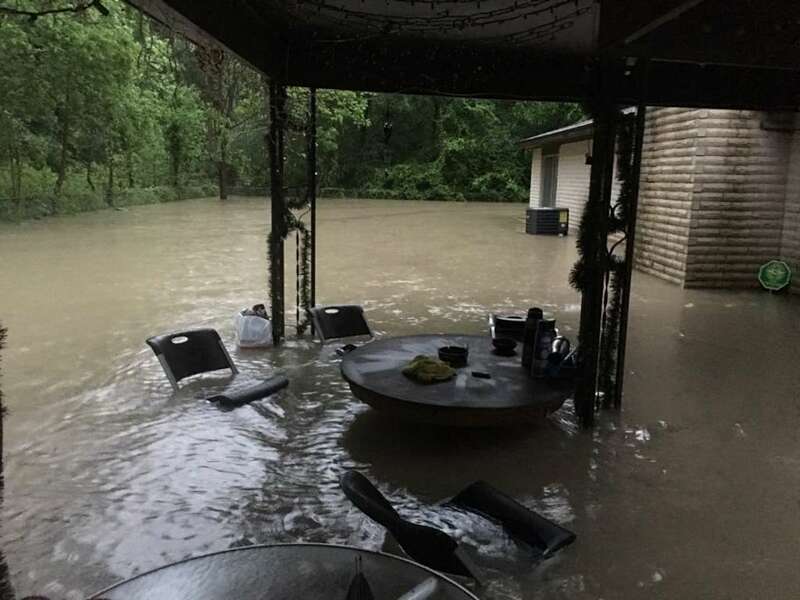 In an interview with KHOU11, Griffin explained that she was battling severe debt and hospital bills, and was unsure what to do about her situation, especially after everything the flood took from her. 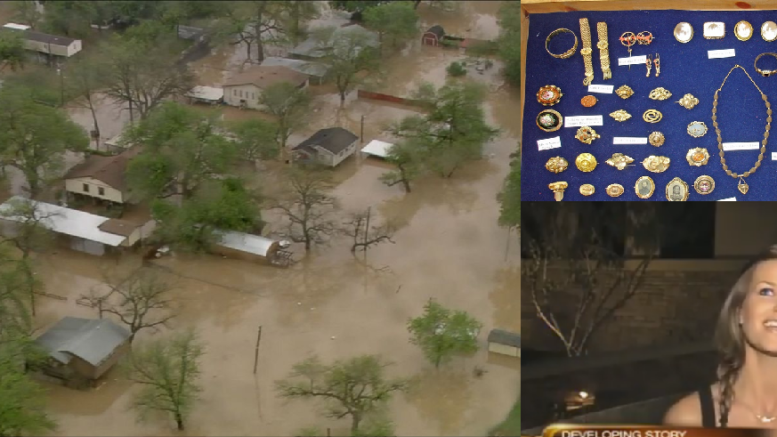 24 Comments on "Houstonian finds $2 million worth of civil-war era jewelry unearthed from recent flood"
You can’t party forever with 2 million, minus the Ferrari. You’re at 1.75 mil. That’s not enough lol. You might want to invest that money to make more! She’s going to blow through that money and be right back in debt, worse debt than she’s already in. Seems like it probably belongs to someone or from a museum or institution that was also flooded. It is in mint-like condition. I doubt it was buried in the dirt unless it was in her walls or something like that. Someone might come claiming it all and have proof to back it up! We’ll see! Food for thought! Do I smell lawsuit? And I can see why she already had debt problems. Is there a cemetery nrarby or upstream. In floods, caskets will frequently surface and their contents disgourged. All of u people are haters you all mad because u didn’t find it.Everyone should be proud for her.Who cares what she does with the money it belongs to her!! I hope she has the time of her life PARTY HARD GIRLFRIEND HAVE FUN AND BE SAFE!! Why should the “haters” be proud of her? Pride indicates an accomplishment. Finding jewelry in your backyard isn’t an accomplishment. Happy for her, sure, proud? Not so much. The comments had nothing to do with her finding the jewels, the comments were about her idiocy in whining about financial problems and then deciding she’ll blow all the money on partying. You can believe that those she owes will come calling first. She will have to pay taxes on the money anyway. The cache could have been uncovered by the flood. The Ferrari will lose 30% of its value when it’s driven off of the lot like a Monopoly house. If everyone in the USA money was gathered, then equally distributed to every man, woman and child the rich would be rich again and the poor would be poor again within a year. If you DON’T change you WILL be the same person. Possessing that kind of money makes you vastly different. Different from who you were, different from most people without that kind of money. Did you ever think of finding the “real” owner. That would be the right thing to do. Wow Found 4 days ago and already been appraised,cleaned,labeled and displayed. You can tell from her answer when asked what she will do with the money that it wont change her , she will be the same broke stupid redneck in a years time that she was last year. But this story has fake written all over it anyway , it just don’t add up. I hope this lady is only joking about new Ferrari and partying hard . With all her past and current problems, debt, hospital stress through flood, she should be thankful and have been kidding. Take it as a blessing. Hope she uses it wisely. The only silly thing that you should avoid is reading these hurtful and rude comments, envy is a terrible enemy of people who see someone else have what they themselves want and so they make horrid comments. Shame on you all. What an idiot. YES! I hope she reads these comments! I’m begging her not to continue to screw her life up! The article is a scam. Four days later, deposited by a flood but I mint condition. The kicker was the statement about buying a Ferrari and partying. I think Phil Hendrie made this up to see who would comment.